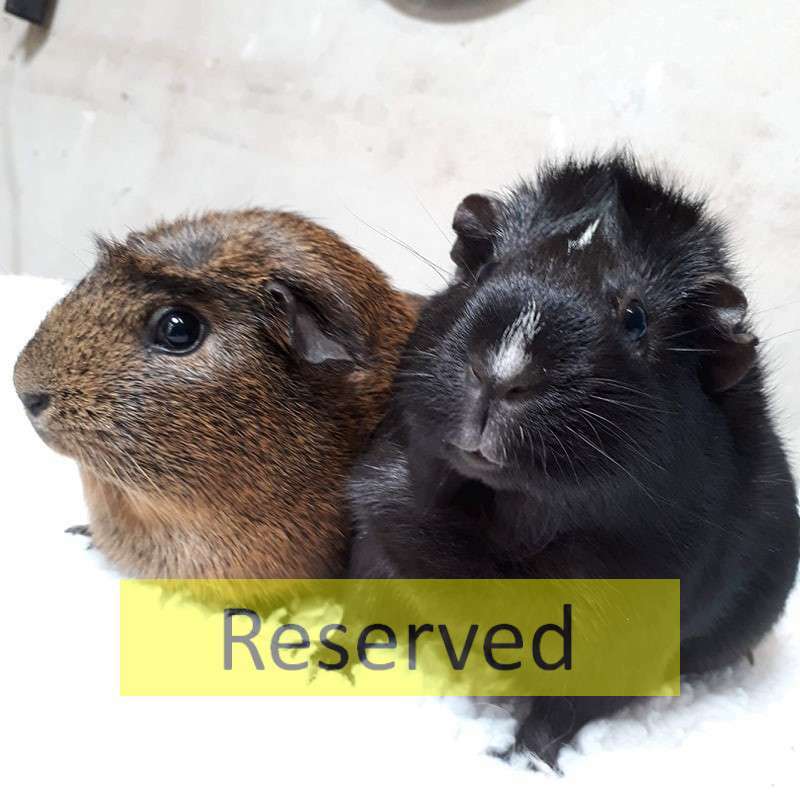 Jetta and Izzy are two great female piggies looking for their forever home! Jetta is a black piggy with white specks on her face, whilst Izzy is brindle/brown in colour. They have both been at the sanctuary for a while now as we had suspected a possible pregnancy; however no babies have appeared since their stay here at the sanctuary. The girls are well settled here at the sanctuary and are well used to the routine. They are quite brave and are the first ones out when it comes to hearing tasty veggies are on the go! Both girls don’t mind being handled, and sitting on a knee to be petted, though Jetta is slightly braver than Izzy in that respect! If you feel you could offer Jetta and Izzy a loving home, please call up to the sanctuary, speak to the staff and fill out an application form! !